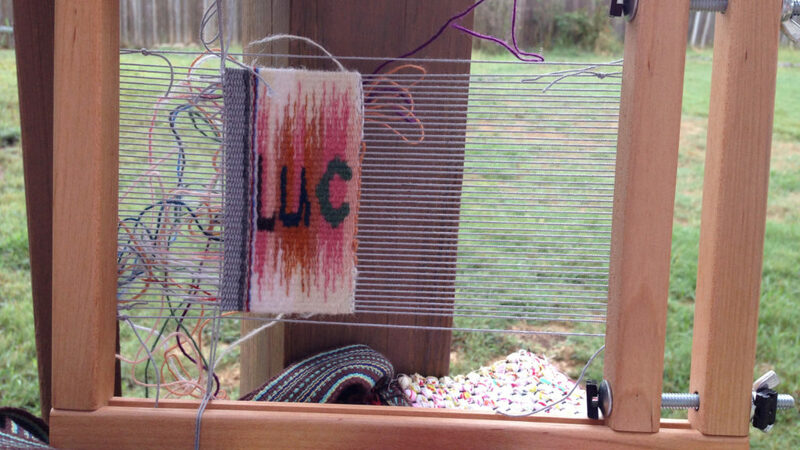 I added one more letter to the Lucia Tapestry. The back of the tapestry is pretty messy. 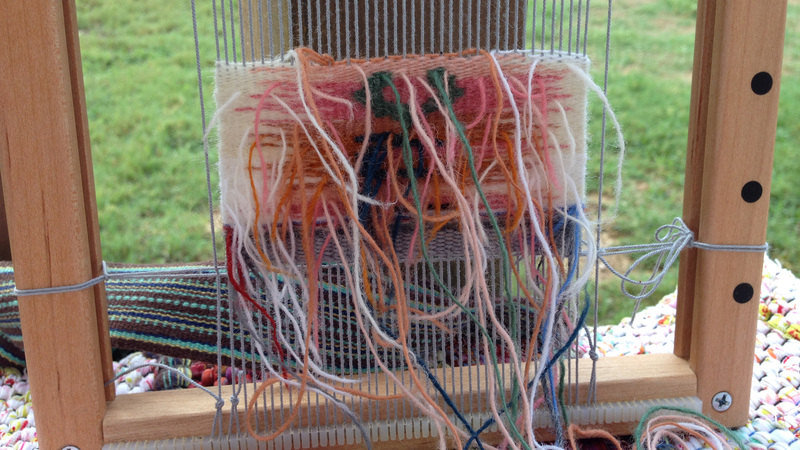 Since I weave from the back, I see the reverse image as I weave; and the scattered threads clutter the view. I am spelling my new granddaughter’s name. Each letter comes about slowly. I know what to expect on the other side even though I can’t see it while weaving. Baby Lucia is only a few days old. She does four things. Sleep, eat, cry, and have diaper changes. What she thinks or dreams or feels is a matter of speculation. My daughter and her husband are learning the hard way, as every new parent does. They only see messy threads right now, but they know Lucia has a special purpose. And they are trusting the Lord to show them the important things about parenting. Trust is the basis of faith. The Lord is searching everywhere to find those who trust Him completely so He can strengthen them in their faith. The tapestry He is weaving spells out the names of those who put their trust in Him. May you see through the cluttered threads. Oh what a beautiful way to express the weaving in our lives. Being a new parent is so difficult, so much to learn, so much to do, and so little sleep. I know they will be blessed through all of these days ahead. Yes, there is so much for a new parent to learn. It is a challenge that brings a lot of joy. The baby is a blessing and such a wonder.